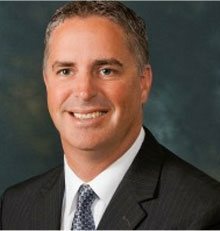 Greg Scheider has been with Mooney Lyons Financial Services since 2003. He is currently serving as Chief Operating Officer, responsible for the development and implementation of new processes and technology. Prior to joining the team, he spent 10 years in corporate accounting with his last position as controller of a logistics company. Greg is a graduate of Illinois State University with a degree in Accounting. Greg is a CPA, Certified Public Accountant, and takes continuing education classes to keep up to date with ever-changing tax laws. He works closely with clients to develop short and long-term tax strategies through his firm Greg Scheider, LLC which is not affiliated with Mooney Lyons or LPL Financial. Greg maintains an Illinois State Life and Health License. He also has his Series 6, Investment Company & Variable Contracts Products, and Series 63, Uniform Securities Agent.